Rock in Peace Gregg Allman. 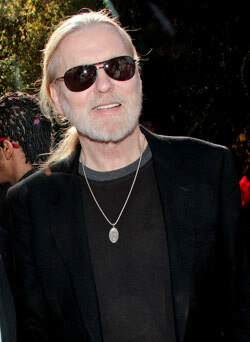 The legendary keyboard player, vocalist and co-founding member of the Allman Brothers Band passed away Saturday (5/27). Allman's manager, Michael Lehman, posted news of his death shortly after his death on Gregg's web site, writing, "I have lost a dear friend and the world has lost a brilliant pioneer in music. He was a kind and gentle soul with the best laugh I ever heard." No cause of death was provided, but it was widely known that Allman was dealing with a number of complications resulting from ailments compiled as a result of his many years of hard living. He announced several weeks ago that he was cancelling all of his scheduled concerts for 2017. That was followed by reports that the 69 year-old had entered hospice care. That was dismissed by his manager - and later Allman himself, who upped his social media activity quite a bit following the rumor of his imminent demise. Sadly, this time it's for real. We have lost one of the most influential musicians of our lifetimes.